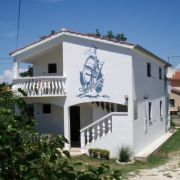 Our family house is situated at main street in Punat, about 200m from the beach. 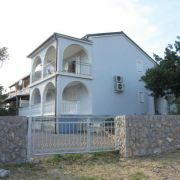 5 apartments and 1 room are in … More » the house, fully equipped, with capacity 2-8 persons. Each apartment has TV/sat and air conditional, save parking area. Two apartment with two rooms for 4-6 persons and apartment with three rooms for 8-9 persons, situated in resort … More » Nin near the beach with healthy silt. 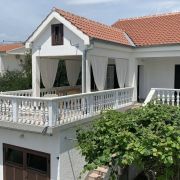 Situated near the centre, high attic, three terraces, AC, TV with SAT, washing machine, large yard with small swimming pool, barbecue, parking. 2 ap. with 2 bedrooms, 1 ap. with 1 bedroom, and 2 studios. AC, modern kitchen with dishwasher, private parking … More » , free Wi-Fi Internet, using of grill, new fireplaces and terraces. 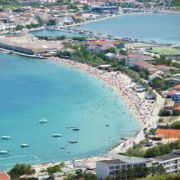 Separate entrances (enclosure court), sand beach, parade along the coast to centre of Njivice and direction to Malinska. S1 room 2 persons with bathroom, S2 room 3 persons with bathroom, S3 room 3 persons with bathroom, S4 room 2 persons … More » with bathroom inside, A1 apartman with kitchen, bathroom and balcony for 3 persons, A2 apartman 6+2 (2 rooms with 3 beds in it, 2 bathrooms, kitchen, and living room with sofa. 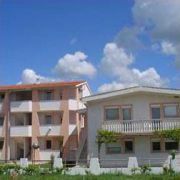 Guest house Punat has been in operation since the spring of 2009. 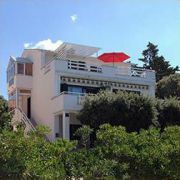 We offer accommodation in 2 tastefully decorated … More » rooms - double and triple with balcony and sea view. 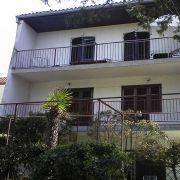 Large apartment for up to 10 pers. 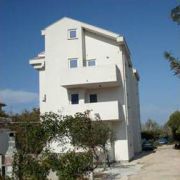 has 3 bedrooms, living room, bathroom, 2 WC, large balcony and sea view. Children's park 200m. 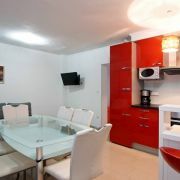 Apartments for 4-6 persons, completely equipped. 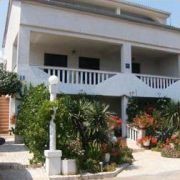 Kitchen, living room, bedroom, WC/shower, terrace, AC, TV/sat … More » , grill, parking... Sandy beach si situated only 70m from the house. 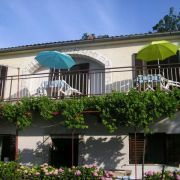 Three studio-apartments for 2+2 persons. Air conditioned, WIFI, TV/sat. Balconies on first floor, terrace, grill … More » on ground floor. 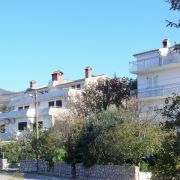 200m from the beach and 500m from the town centre. 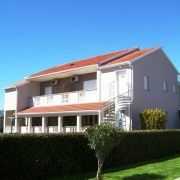 Newly built house in a quiet location directly by the sea in Povile, 2km south of Novi Vinodolski. 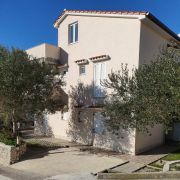 Apartment with … More » 65m2 + 30m2 terrace with sea-view, 2 bedrooms with 2+1 beds, kitchen + dining room for 6 persons, living room with sofa bed, TV, AC, bathroom + WC. Parking, beach 100m. 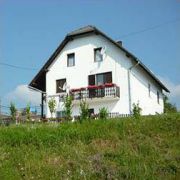 Comfort Pension "Park" is located in the center of Slunj, at the entrance of the National park Plitvice Lakes. … More » Slunj is best known for the beautiful countryside, rivers, friendly locals and Rastoke which many refer to as "small Plitvice", located only 300 meters from the "Park". 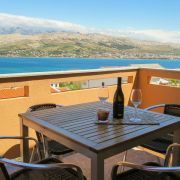 Apartments in Nin, with capacity of 2-6 persons (1x apartment 4+2, 4x apartment 2+2), in a quiet location near … More » the center. We offer for our guests fully equipped accommodation with private entrance, roofed terrace, TV/SAT, free WiFi, air conditioning, roofed grill and illuminated parking. Apartments 4+1*** and 4+2***. 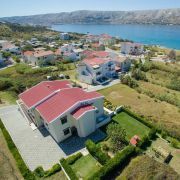 Apartment 4+1: terrace, beautiful views of the Punat bay and monastery island Kosljun … More » , 2nd floor, air conditioning. Apartment 5+1: large terrace, 1st floor. Free Wi-Fi is available in all rooms in both apartments. 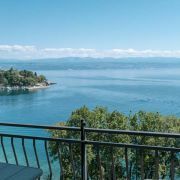 We offer relaxing family vacation without the noise and stress in the area connecting the sea and mountains. Within … More » the radius of 100km you will find 5 national parks (Paklenica, Plitvice Lakes, Kornati, Krka waterfalls, North Velebit). 3 minutes walking from the beach. Apartments with 2-7 beds! 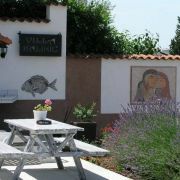 Family restaurant - guesthouse in the small fishing village Klenovica, ideal for peaceful and happy holiday. 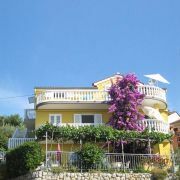 The … More » house is located 50m from the beach and 100m from the center of resort. Every day you can enjoy fresh fish specialties. 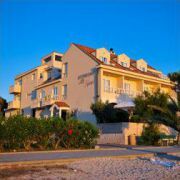 The apartments are located in the center of Medveja, on the main road and only 20 meters from the beach. 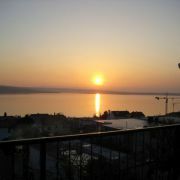 From our … More » terraces you can admire a breathtaking view of the beach, the small fishermen port and the Kvarner Bay. 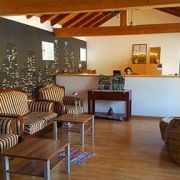 We have 4 accomodation units: 2 apartments (2+1 / 2+2) and 2 rooms (2+0 / 2+1). 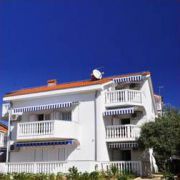 Apartments ROSI - Smokva, Maslina and Murva are located in a family house in a quiet part of Crikvenica. The friendly … More » owners welcome you by welcome drink and ensure your stay as pleasant as possible. Terrace with sea view gives you romantic moments. Pet lovers are welcome.